A Lawrence Police Department SUV is parked outside Lawrence High School on the afternoon of Tuesday, Feb. 12. Earlier in the day, a gun was removed from a student at school. It was the second such incident in less than a week. For the second time in a week and the third time in this school year, a gun was confiscated on school grounds Tuesday morning by school administrators and school resource officers. The two incidents occurred over the course of three school days. In the latest incident, a firearm was taken from a student Tuesday morning, district officials said. According to a district press release, there was no “direct threat” to students or staff. The weapon wasn’t in the student’s backpack, as the district originally indicated but was on the student, according to updated information sent by the district Tuesday night. Lewis wants to learn about why students would bring firearms to school. Both of these incidents were discovered when students reported concerns to Lawrence High faculty. The previous issue occurred Feb. 6, before the two inclement weather days, when a firearm was found in a student backpack. 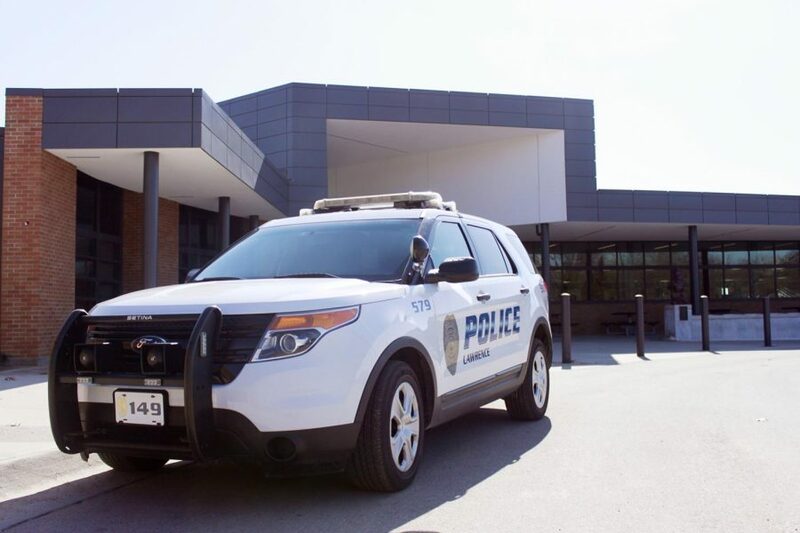 “The LHS students who reported to staff that they heard that this student might have a weapon at school are to be commended,” Julie Boyle, communication director for the district, said after the incident last week. “That information led to a safe resolution for all. Lewis said there are a variety of safety measures in place at Lawrence High, but forming bonds between staff and students is most important. The incidents were the third firearms issue at LHS this year. LHS students were accused of exchanging a gun on school grounds earlier this school year. One of those students, is scheduled to be sentenced later this month in that case. Free State High School had two incidents involving firearms in the past year. Students and their parents sharing concerns with school staff members. Calling the Douglas County Crime Stoppers hotline, 785-843-TIPS (8477). Calling the Kansas School Safety Hotline, 1-877-626-8203. Calling 911 in the case of an emergency. The district reached out to students and parents through emails and phone calls Tuesday morning. As students were sitting in third hour, associate principal Margene Brohammer read the district’s official statement over the intercom — a change in communication from last week. English teacher Abby Hoffman said she spent much of the class period talking to her students about what had happened. Her students discussed security measures such as metal detectors, secured doors, more personnel and reaching out to classmates who may need help. Hoffman sponsors SAFeR, a group formed in response to the deaths of 17 people on Feb. 14, 2018, in Florida. Senior Adi Spears is vice president of the SAFeR club. She supports Dr. Lewis’s idea of open conversations and believes lockdown drills should be practiced more often. The district is planning to address safety issues in the building with the planned bond construction, which will begin this summer. The project will close the campus and unite the main building and annex. LHS is also conducting more safety drills as a result of legislation approved last year in the wake of the Stoneman Douglas shootings. District faculty have also undergone additional safety training this year. Yet, bigger issues remain, said LHS parent Noreen Spears. On Tuesday, students were encouraged to discuss the incidents with their families. Senior Maria Godinez worried that wouldn’t be enough. “I think the students who will go home and talk to their parents about gun violence and control are not the students who’re going to be bringing guns into the school,” she said. Lewis will work with the school board, administrators, staff, students, parents and community members to discuss public safety, according to the district’s press release. Debate coach Jeff Plinsky has worked at LHS for 14 years. He believes that Lawrence High students tend to do the right thing, but in a large school like LHS, something will, at some point, go wrong. Nadia Sanburn, Aidin Manning, Freeman Spray, William Yanek and Henry DeWitt contributed to this report. This story was corrected at 9:15 p.m. Tuesday to reflect new information about where the weapon was found. This story was corrected at 10:00 a.m. Thursday to fix the capitalization of SAFeR.